It has always puzzled me that there are plants that bloom in the fall, or stranger yet, in the winter. It seems so out of sync with the rhythms of nature, but hey, while I may not understand the “grand plan”, I am sure as heck going to take advantage of these little beauties and enjoy them in my garden. Here are three bulbs that bloom this time of year and can usually only be found and planted in the fall. Fall blooming crocus - Crocus sativus: For most gardeners, when we think of crocus our visions are transported to early February when these little harbingers of spring pop up in lawns and rockeries that delight us to no end. Their blooms are short lived but a colorful treat after a long and dark winter. I have several drifts of them that come back every year with absolutely no intervention on my part. Except for pesky squirrels, nothing bothers them and they will naturalize in our gardens and come back for years and years. Now imagine this same scene only in the fall. Crocus sativus or “saffron crocus” has attractive purple petals with yellow stamens and a three-part red-orange stigma. 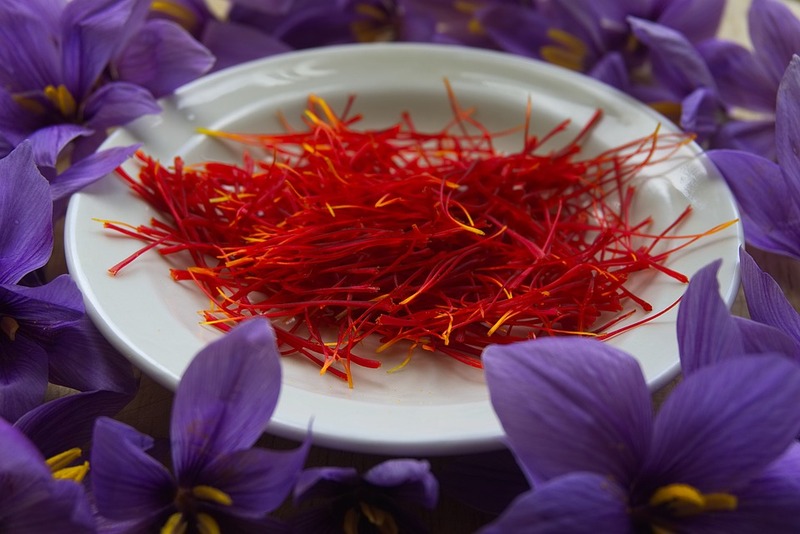 It is the stigma that is harvested and becomes the highly prized saffron. I once thought it would be a great idea for a retirement income to plant a bunch of these bulbs and after they multiplied I would collect the saffron. Saffron sells for around $500 an ounce - all I could see was dollar signs. Unfortunately, it takes around 4000 flowers to make an ounce, so that little idea was quickly dismissed (especially considering that after harvesting 4000 stigmas I would probably not be able to stand upright again). You can find fall blooming crocus here at the nursery right now with all the other spring blooming tulips and daffodils. Autumn crocus - Colchicum autumnale: Colchicums are not crocus at all but the blooms resemble them, hence the common name. You can find these bulbs in the nursery right now, located on the checkout counter for impulse sales, and as often as not in full bloom (with no roots or dirt). 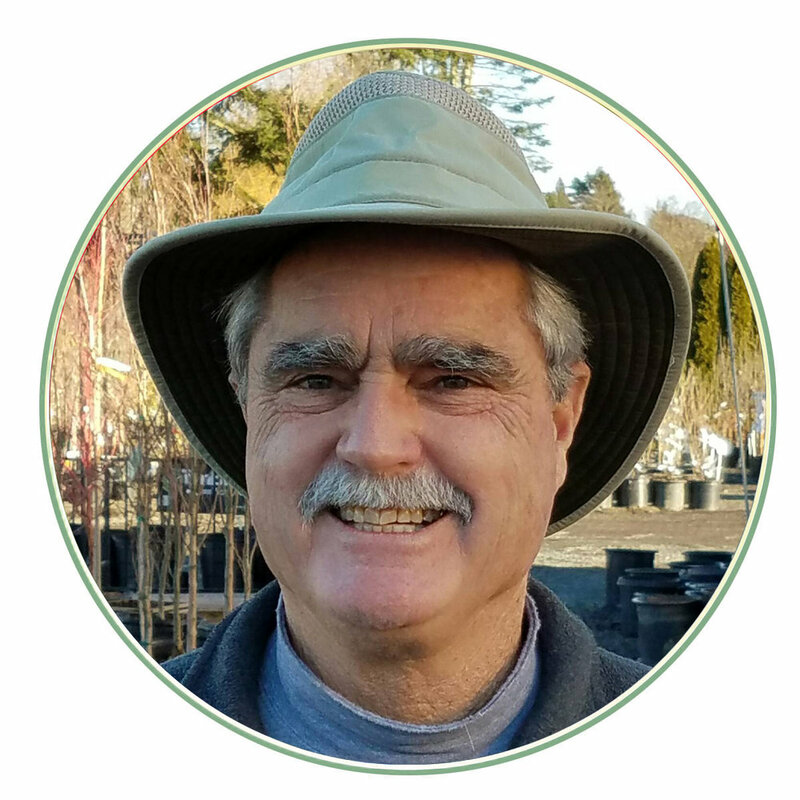 Plant them now and they will bloom immediately, followed by 10 inch long lanceolate leaves that stick around until next summer when they go dormant and disappear until the flowers pop back up in September. It is a bit of a garden oddity but a fun treat for this time of year. As an added bit of trivia, colchicine is extracted from the bulbs and used to treat gout. It is also used in the horticulture field for creating polyploidy, which is part of the technique in developing our seedless water melons. Fall blooming cyclamen - Cyclamen hederifolium: These little 4 to 5 inch tall hardy perennials send up white or pink blooms this time of year, followed by ivy-like foliage that is heavily reticulated and consequently a very interesting addition to the garden. They prefer some shade and will slowly form drifts under trees. After the flowers set seeds, the stem coils up like a spring and when the seeds are ripe they are thrown several feet away from the mother plant. There also seems to be some symbiotic relationship with ants whereby the ants also spread the seeds around. September is when you can usually find them blooming in 4 inch pots in the nursery. These fall bloomers are usually only available for a few weeks in the fall so don’t miss out on this opportunity to interject some color into the garden. You will be rewarded for years to come.